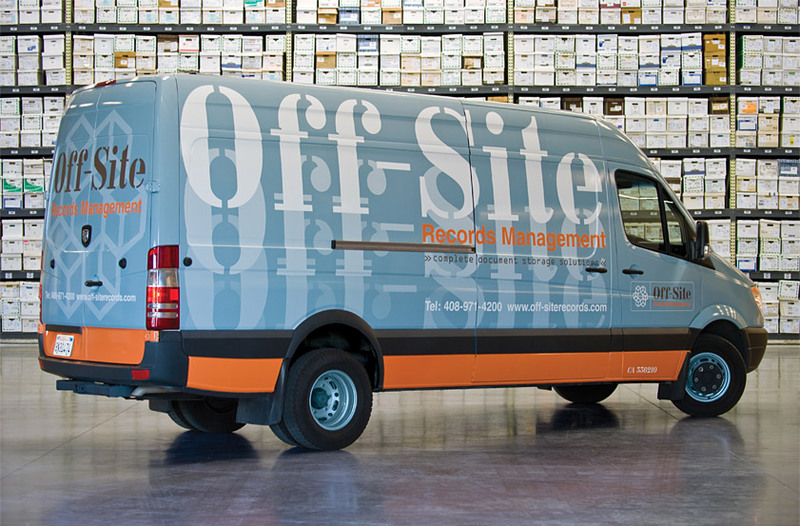 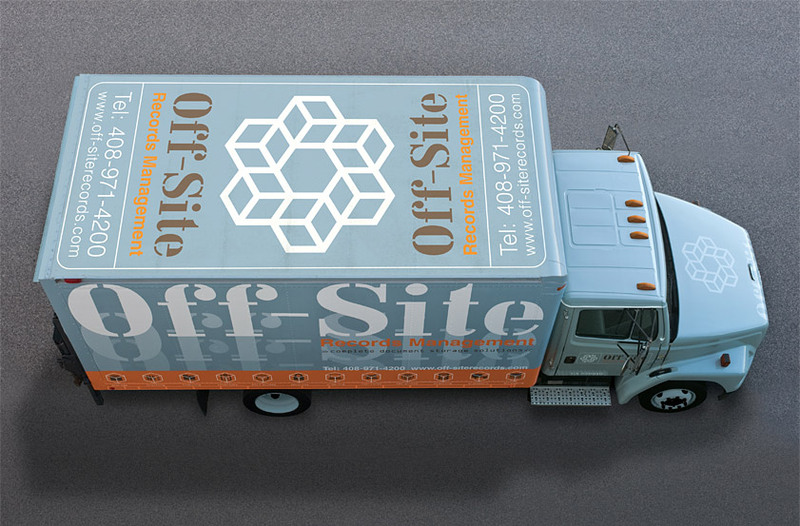 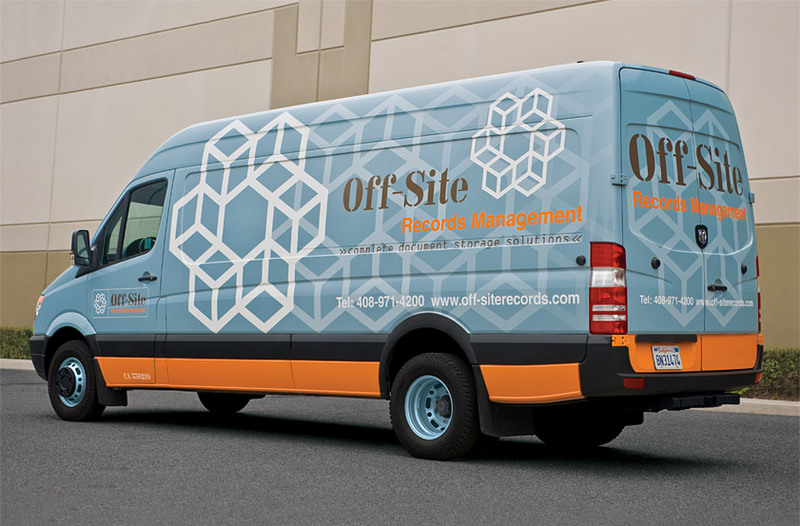 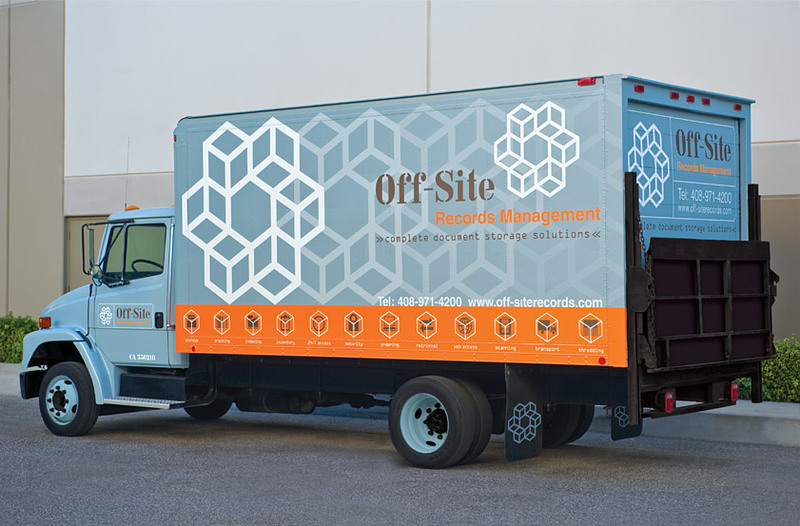 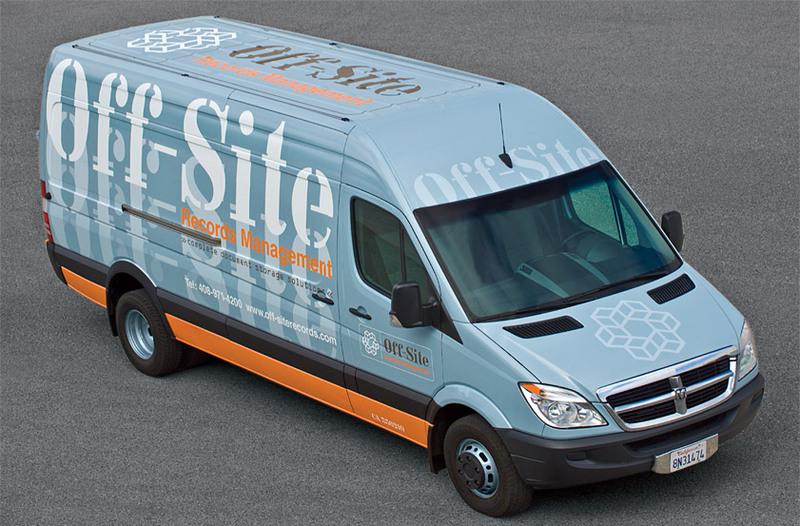 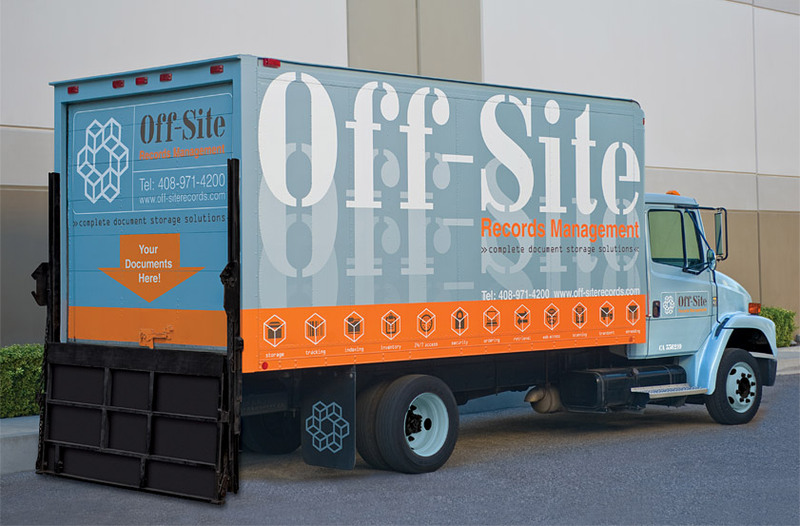 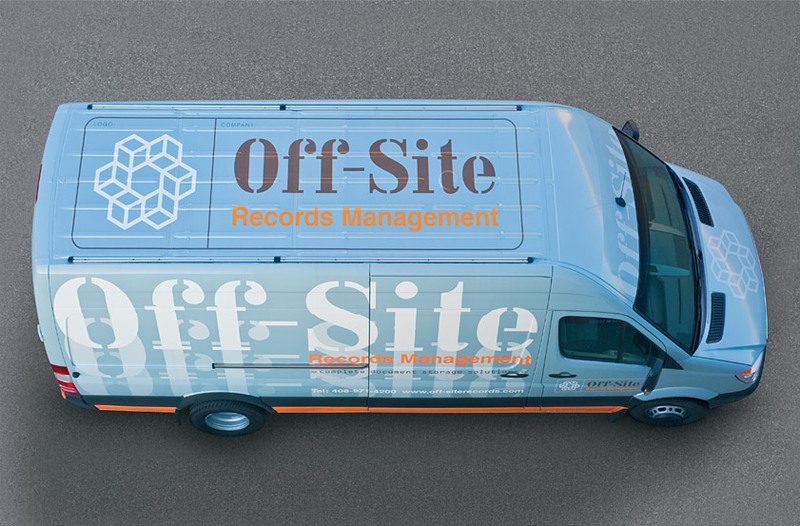 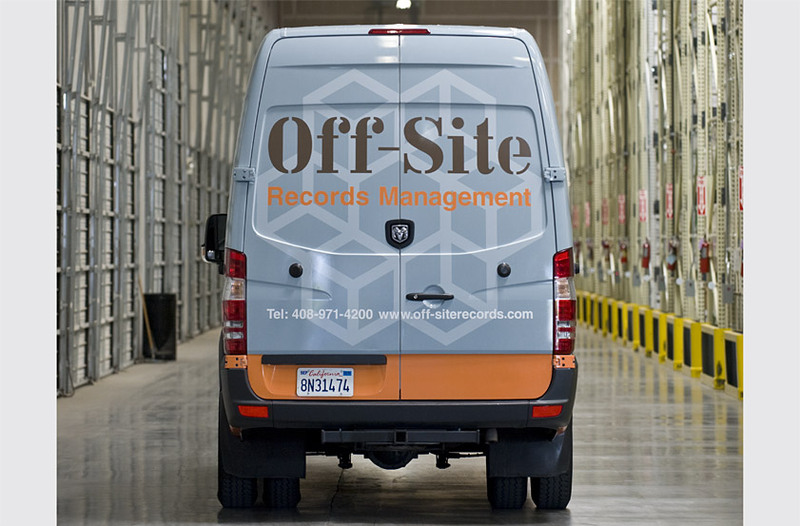 Our solution for their truck and van graphics showcases the symbol on one side and the company name on the other, using gradation as a metaphor for customers moving their documents “off-site.” The logo’s dimensional boxes suggest space and storage, forming a circle to represent the access, retrieval, and linking of information. 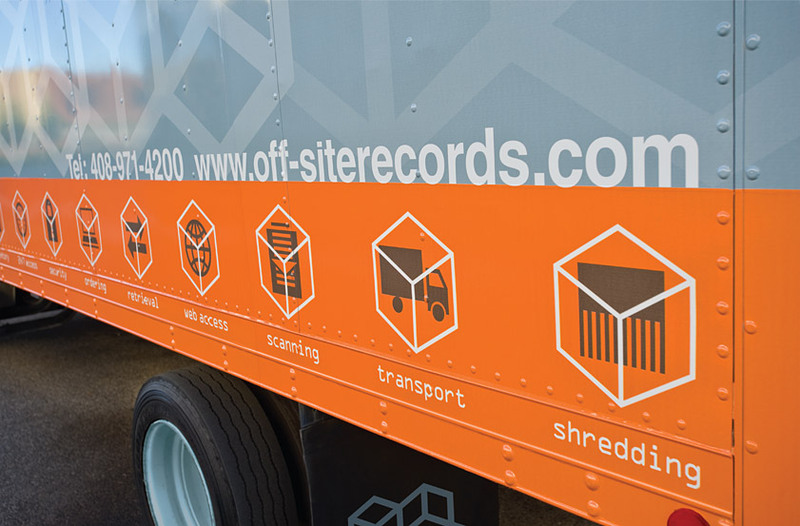 On the truck, an eye-catching orange band displays the firm’s complete range of document storage solutions. 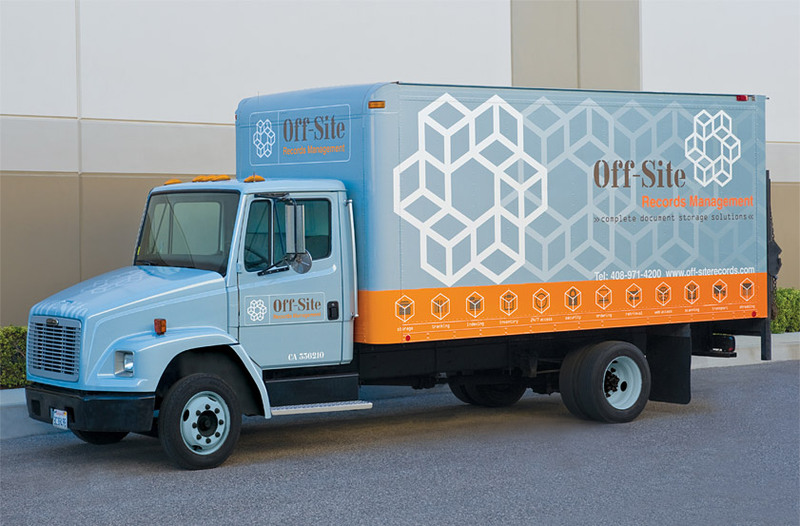 The truck’s roll-up door encourages new customers to imagine the arrival of their documents, and the top functions as a dimensional billboard displaying the firm’s contact information from both directions.